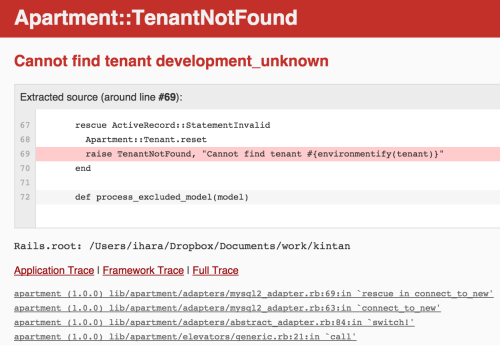 By default, and only when not using PostgreSQL schemas, Apartment will prepend the environment to the tenant name to ensure there is no conflict between your environments. This is mainly for the benefit of your development and test environments. Uncomment the line below if you want to disable this behaviour in production.